Weather charts, satellite photos and telex at sea by BLU without internet connection nor satellite. This modem was designed to obtain a quality of decoding even under difficult conditions of reception. This modem provides filtering and signal conversion with optimal performance even with handheld receiver (see the analog filter). No software performing a conversion by the sound card of th computer has the required sensitivity level as soon as you move away from transmission stations for example during an Atlantic crossing by the area of trade winds. Only an external modem provides global coverage at sea. - Average instantaneous frequency of the signal. 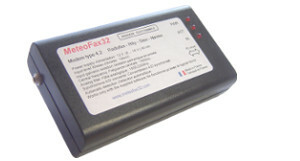 RS232 output version: A free RS232 port or a serial ports hub. USB output version: A free USB socket or a USB hub. 12 volts (9 to 16 volts) 40 mA. 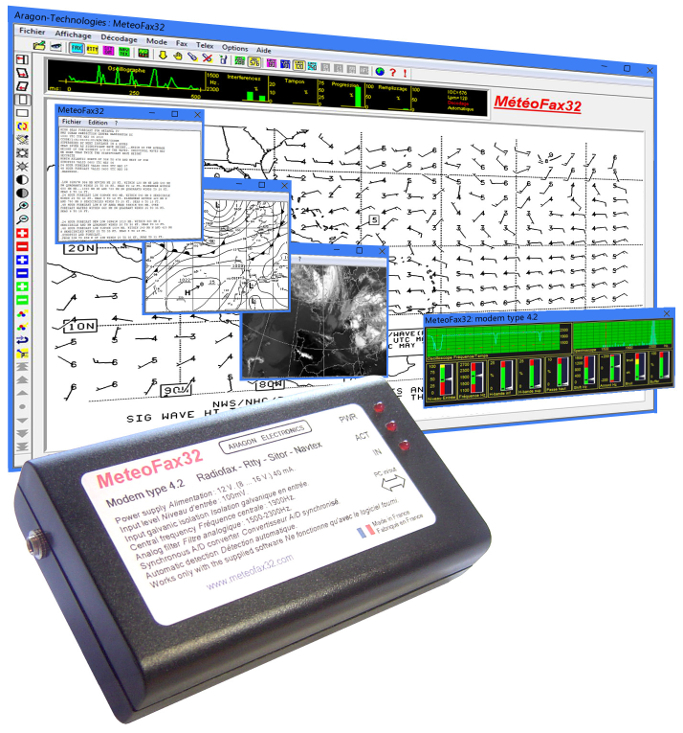 The MeteoFax32 software is supplied with the modem (included in the price of the modem). It is compatible with Windows XP, Vista, 7, 8, 8.1, 10. There is no limitation of the number of computers on which you can install the software.